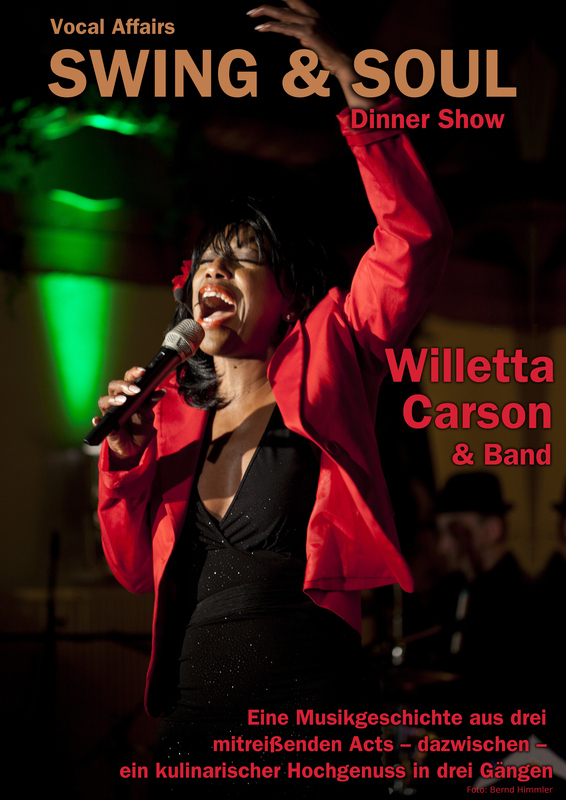 A Dinner show with a delicious multi-course gourmet meal and live music. The story unfolds through a selection of enchanting musical numbers performed in the swing, blues and gospel genres. Starring a talented cast of singers and musicians including songs from Cole Porter, George Gershwin, Ray Charles and Quincy Jones. Meet Lola who's journey leads her from Chicago to Las Vegas to Germany. Let Willetta guide you through Lola's story. As Lola stumbles into a career of song and dance her career flourishes until she finds she must choose between her new career and her new found love. But she makes the wrong decision. Can she be freed? If you like entertainment that is both powerful and moving then this show is for you. It's the ultimate dinner show combining concert, theatre and animation.